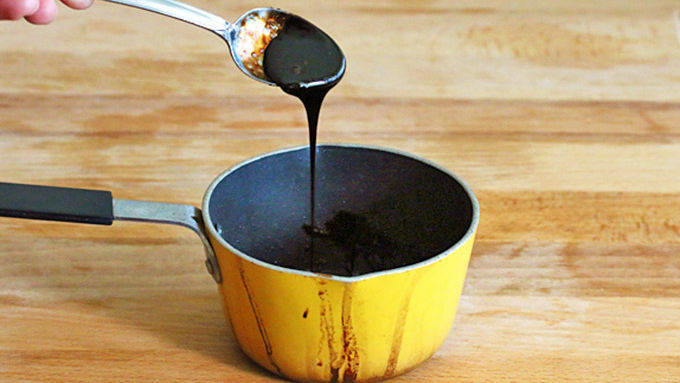 To make the balsamic reduction, place the balsamic vinegar in a very small saucepan and bring it to a boil. Reduce the heat to medium-low and simmer uncovered for about 15 minutes or until it is thickened and lightly coats a spoon. To assemble the sandwiches, spread some mayonnaise on each slice of toasted bread. Next layer with lettuce, 2 slices of bacon, 2 slices of tomato and 2 slices of avocado. Drizzle with the balsamic vinegar reduction and serve immediately. 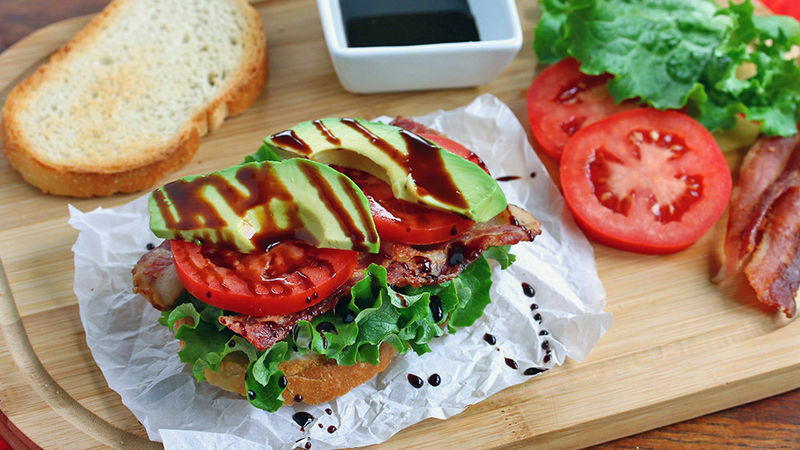 Practically everyone loves a good BLT sandwich. And a BLT with avocado is just that much better. But have you had an open-faced BALT drizzled with a sweet and tangy balsamic vinegar reduction? Now you’re talkin’! These are super quick and simple to throw together and make for such a nice and vibrantly colorful snack or meal. And that elegant little touch of balsamic drizzle goes a long way for both its appearance and flavor. Serve and ENJOY!